Paris St-Germain have agreed terms with Chelsea to sign Brazilian defender David Luiz, subject to a medical and personal terms.The transfer fee is reported to be £50 million – a deal that would smash the world record transfer for a defender. A statement on chelseafc.com read: “Chelsea Football Club and Paris Saint Germain have agreed terms for the transfer of David Luiz to the French club. The French champions suggested the formalities of the deal will be completed on June 10 to ensure Luiz can concentrate on this summer’s World Cup in his native Brazil. A statement on the Ligue 1 winners’ official website read: “Paris St Germain, Chelsea FC and David Luiz would like to confirm that they reached an agreement regarding the terms of an upcoming transfer of the Brazilian defender that would occur during the next transfer window which is to start on 10 June 2014. 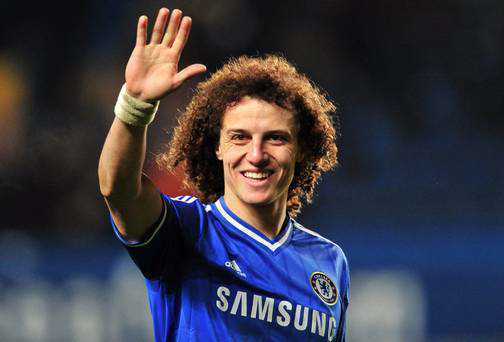 Barcelona and Bayern Munich were reportedly also pursuing Luiz, who has spent three-and-a-half seasons at Stamford Bridge. The 27-year-old joined from Benfica in January 2011, signing a five-and-a-half-year contract in a deal reportedly worth £21m. He has made 143 Blues appearances – 34 of them last season, including against PSG in the Champions League quarter-finals – scoring 12 goals. Luiz was primarily used in defensive midfield by Jose Mourinho after being unable to break up the central defensive partnership of John Terry and Gary Cahill. His departure means Tomas Kalas will be given further first-team opportunities next season while Kurt Zouma, signed from St Etienne in January and immediately loaned back to the French side, will also link up with the Blues. Luiz’s sale represents a healthy profit which Mourinho will hope to reinvest in the squad, with Atletico Madrid striker Diego Costa reportedly the number one target.